Imagine yourself in a forest of bamboo! 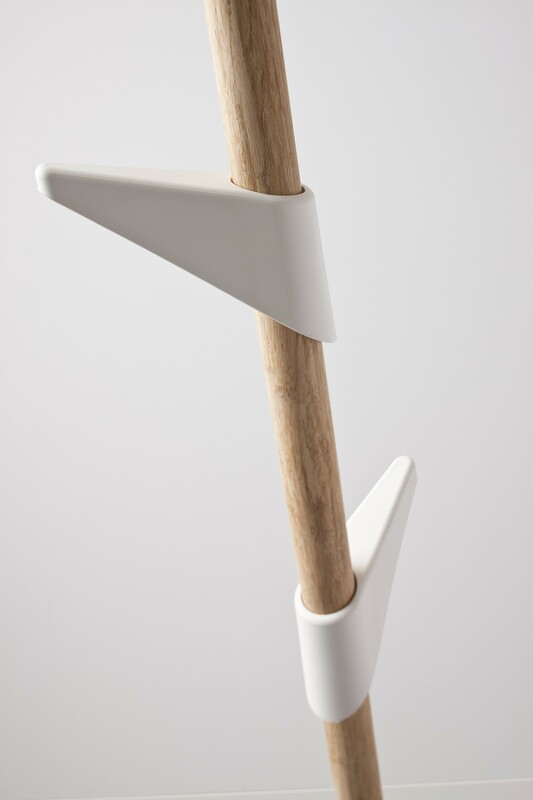 The Bamboo 1 coat rack by Cascando is beautiful in its simplicity. 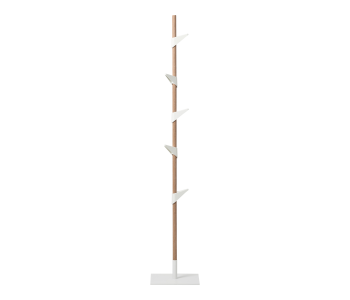 This designer coat rack with steel base consists of a bamboo stand and 5 matt-white plastic hooks shaped like leaves. Placing several Bamboo coat racks next to each other creates a natural room divider. Suitable for decorating the living room or office! The Bamboo 1 coat rack by Cascando is a designer coat rack that excels in its simplicity and ingenuity. 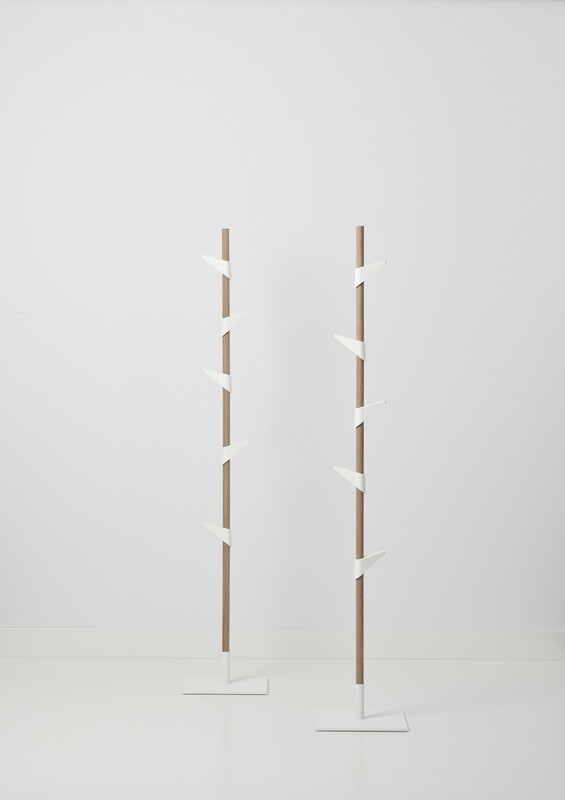 The standing coat rack by Cascando consists of a vertical stand of solid bamboo and matt-white plastic coat hooks shape liked leaves. In addition to its beautiful design, this coat rack is also practical and convenient; the coat hooks of the Bamboo 1 coat rack by Cascando are easily adjustable in terms of height and direction. Furthermore, by placing multiple coat racks next to each other you can create a natural room divider. A coat rack suitable for private and business use! Designer Peter van de Water is inspired by simplicity of form, function, and construction. 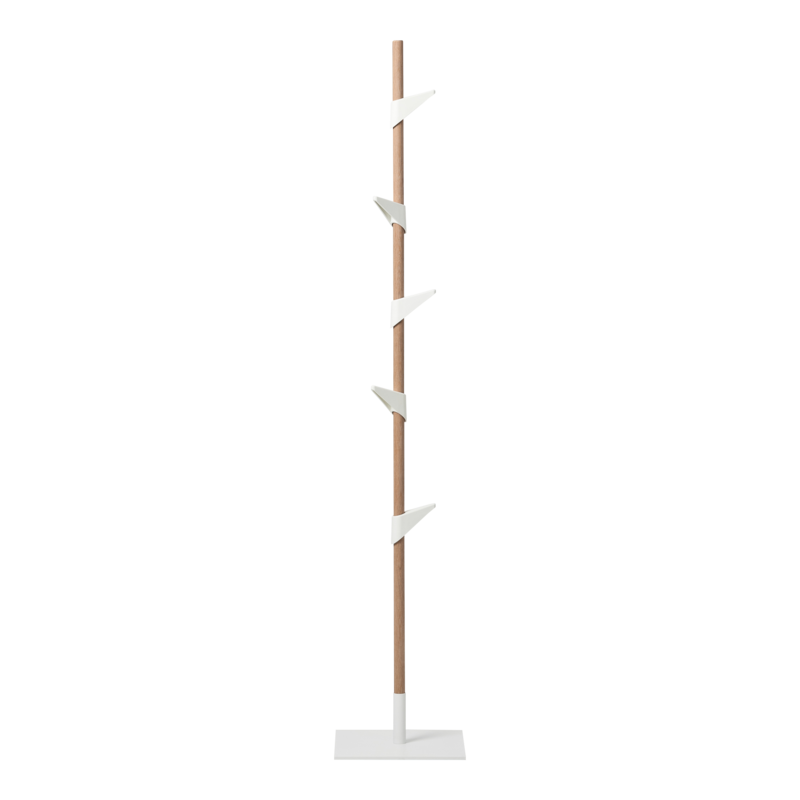 As a result, the Bamboo 1 coat rack by Cascando has a vertical stand of solid bamboo and a white metal base. The coat rack is therefore extremely stable, even with multiple coats. 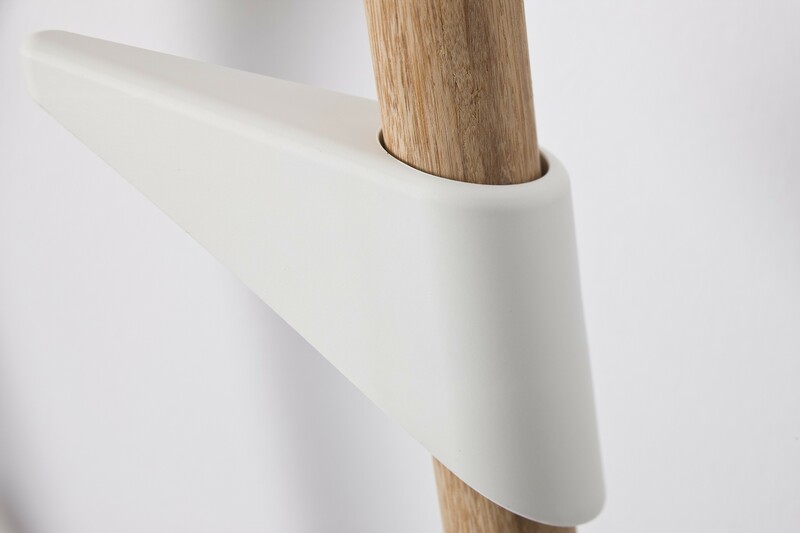 The simplicity of the design is also reflected in the matt-white plastic hooks, attached like leaves to the bamboo stand. A piece of natural design in your home! Besides the decorative aspect of the leaf-shaped coat hooks, they are also very practical. The matt-white plastic hooks can easily be adjusted. Unlock the coat hook by sliding it upwards, place the rubber ring in the desired position and click the hook back into position. Such simplicity! The Bamboo coat rack by Cascando is available with 1 stand (including 5 hooks) or 3 stands attached to a base (the Bamboo 3, for up to 15 coats). Both hooks are 180 cm tall and each stand comes with 5 coat hooks. By placing multiple Bamboo 1 coat racks next to each other, you can create a natural divider to separate spaces.